Are you looking for the WAMOD Apk? If yes, then you are at the right place which you can get the WAMOD Apk 2.0 Alpha 15 Download link. Even you will get the app without any issues. Recently developer announced the issue with Alpha 15 build that it cannot send the message for account verification. Now, this issue is solved by another guy named Sam (Naeem Ahmed). So, you can download the latest version of WAMOD Apk from here only, because No other site is providing this amazing mod with custom modifications and fixing issues. For future updates and news regarding the app, Visit this page for more clarifications and get Problem free APK file. Now, Coming to the app changes. The new modified app has Black theming. So, who are interested with the black colour then they can easily addict to this Mod. And it looks pretty amazing in the black colour, and I am sure you will love it. Boring with the White colour and WhatsApp UI? Definitely, this mod could change your mood while using and can give you awesome user experience. 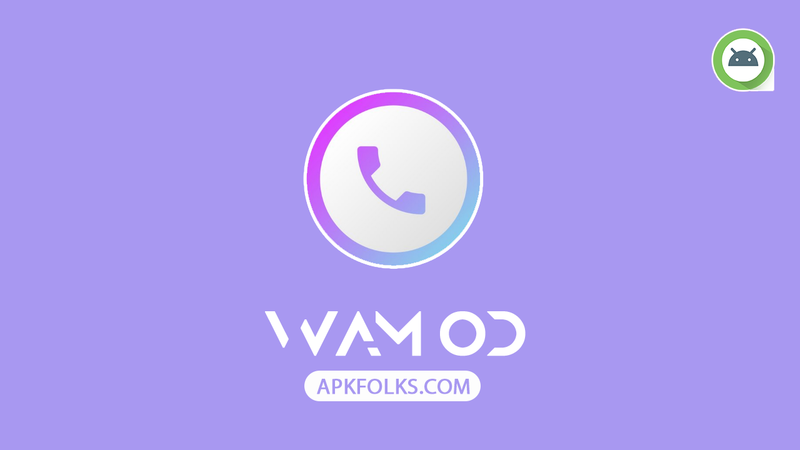 1 What is WAMOD Apk? This is a Completely different mod than the Popular Modified apps like Gbwhatsapp and YoWhatsapp. But the only drawback is that you can’t get that much of features what they provided. A simple app like the Gbwhatsapp MiNi which provides awesome experience and Minimal features. This is the perfect app whose boundaries are limited. Briannvalente develops the WAMOD Apk, and you can find him on twitter if you have a word with him. Basically, it is an iOS Styled Whatsapp Mod. The app is too good for who want to try the IOS Whatsapp in their Android device. Of Course not! Many of the Modified App enthusiasts currently use this app. Though there are no major features in this MOD, still many people using this app for the iOS Style. Here are some Features that app can provide. We have listed the Features below. Themes: In this four themes are available such as Light, Night, Night Blue, and WhatsApp Business. Long Press the Home Button to get the Old UI as like the many WhatsApp mods. Long press the camera icon to create the Text Status. Slide from the left side to go back within the app. Privacy Options is not yet available. 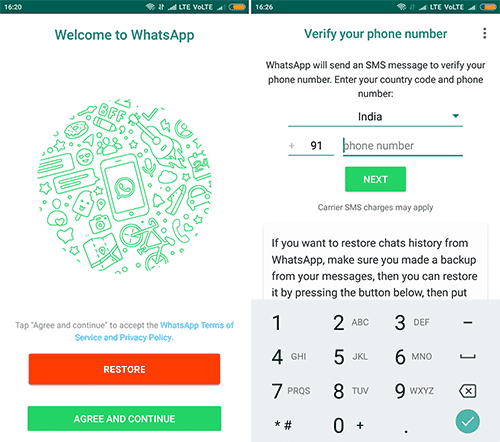 All official Whatsapp features are included. You can directly go to your profile from the navigation drawer by just tapping the Profile Picture. Status Will show like Instagram Stories. As we said earlier, this is a modified and fixed WAMOD APK by Sam. It comes with completely Black version. So, Download the latest version from here to get the completely working APK. Have You Done with the download? Let’s move into the installing steps. Below are simple steps to install any Mod APK. Follow every step what we have mentioned. Step 2. 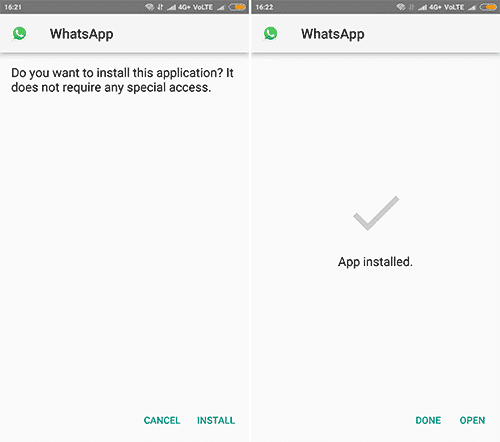 Allow Unknown Sources to install apps in this Manner. Again tap on apk file and Install it. Step 3. Open the app and Enter your Mobile number. Sit back until verification is done automatically. Step 4. Now, Backup the data if you have any. That’s it now you can enjoy the iOS Styled app on your android device. WAMOD APK is good in the aspects of iOS Style, But it is not compensated for our requirements. Anyway, who like this app much than other mods. Stay with this one and don’t bother, we will update the app for them. A developer of the app lags a bit in updating the app, and this is the main concern regarding WAMOD. Hopefully, he will come with the new update soon. Thanks for visiting our site and share this article with your friends. We will update soon. Keep visiting our blog. Hi, tried this app today. This app stopped working when trying to download any picture. Also I can not see message on home screen. I can see only when I am opening the conversation. This app stopped working more frequently which is so irritating. Also, I found this on Black mode. How can I change its theme to white??? We will update the ASAP.